Our #5 car raced by seasoned veteran and owner RICH HALL. Our #4 car raced by teammate and Technician Tyson Jordan. Our #6 car raced by our newest driver, Collin Hall. 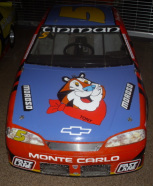 Our #33 car raced by Chris York. 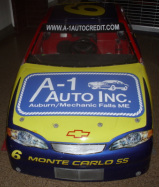 A-1 Auto Inc. has been involved in, and sponsored racing since 1999. Although we have sponsored several divisions and tracks, we primarily concentrate on Mini-cup racing. Driver Rich Hall has been piloting our A-1 Auto Inc. sponsored Mini-Cup Machines ever since. 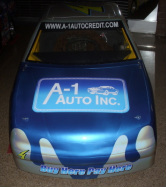 A-1 Auto Inc has also sponsored OPS, Oxford Plains Speedway's, friday night go-kart series! With so much involvement in the leagues it makes A-1 Auto an unstoppable force in MINI-Cup Machines. 2009 - Mid-Coast MiniCup Champion!!! !